If you’re looking to sell a stack of vinyl or pick up a hard-to-find LP, the awesome record stores of West Virginia are a great place to start. You never know what you might find. Here are our favorite record stores in the state. You’ll find everything very well-organized and that’s makes finding your favorite record easy. If you still have trouble, the friendly staff are happy to assist, and take great satisfaction in helping you find what you want. It’s hard to tell what treasure you’ll find here—from great 70s sounds to out-of-print and hard-to-find records. Whether you’re a fan of the King of Rock or the King of Pop, you can find great bargains on all kinds of musical media at Budget Tapes and Records in Charleston. The best selection of pre-owned and pre-loved CDs, records, tapes, and DVDs, this hipster store is right on when it comes to having the great sounds you love to listen and dance to. With locations in Princeton and Beckley, Cheap Thrills Records is worth its weight in gold. From the Temptations to Satchmo and everything in between, you’ll want to plan several hours for your visit so you can enjoy looking through the thousands of vinyl records, CDs, and DVDs. They also have a great selection of t-shirts, sheet music, and posters for the music lover in you. People of every age come to Nail City Records located in Wheeling, West Virginia. That’s because they have one of the largest collections of music from every genre, decade, and media style. Fun, friendly, and affordable nostalgia in one place. Check out their record swap Saturdays and bring your old records to trade. The sun will come up tomorrow at Solar Mountain Records. The forecast is bright and sunny at this storehouse of over 30,000 records, CDs, and cassettes. There’ll be no rain on your parade as you go through the eclectic mix of classic vinyl and more. Be careful, though…hanging out here has been known to cause laughter and good times. It’s like stepping back in time when you visit Odyssey Shop in Teays, West Virginia. As if the place wasn’t one of the area’s best kept secrets already, there’s the distinct look and feel of yesterday and time travel could really be possible here. Highly recommended on social media, this store is considered a “lifestyle” store. If spinning platters really matter, then you must check out Sullivan’s Records in Charleston. Specializing in the sounds made on vinyl, some say this is the best record store around. Come in and judge for yourself, but better plan to spend a couple hours. No matter what your favorite sound is, you’ll find it here and have a great time, too. Looking for old school tunes or groovin’ sounds of the 60s? Maybe modern jazz is your thing. Whatever you like, Elk City Records buys and sells the best music of all time. 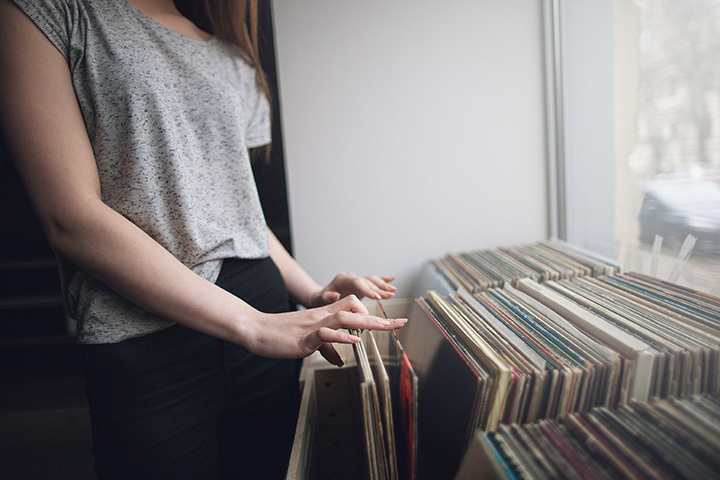 Gently used and often played records, there’s more to life than silence. Come in, find your favorite and spend the rest of the day jamming to the sounds of rock and roll, the slow and easy sounds of country, or the classical melodies of the great composers. Sound Exchange has been playing to the beat of the best in Parkersburg for over 20 years. They have 1000s of records and CD in stock, but if you want something they don’t have, they’ll move mountains to get it for you. And that’s saying a lot in West Virginia. Lovers of music, you need to hear this! Located just a few blocks from downtown, Now Hear This has $3 CDs, BLU rays, and DVDs and $5 video games. They also have a wonderful selection of Hip Hop, crazy metal, country, bluegrass, and everything in between. Crank up that turntable and put your dancing shoes on.